While my MoH:AA server has bots to fight with whenever you enter the battle alone, you have to download this file and place it in the “main” folder of your MoH:AA installation path. If you don’t install this file you will encounter bots, but you won’t be able to see them. Medal of Honor: Allied Assault is a 2002 first-person shooter video game developed by 2015, Inc. It was published by EA Games and officially released for Microsoft Windows on January 22, 2002 in North America and on February 15, 2002 in Europe. Aspyr published the Mac OS X version released in August 2002. An incomplete Linux version was also released in 2004. Allied Assault is the third game in the Medal of Honor series. It is the first game in the series for Microsoft Windows, and the only game in the series with expansion packs. The game uses the Quake III Arena engine, with modifications from Heavy Metal: F.A.K.K., to simulate infantry combat in the European and North African theaters during World War II.  In the spring of 2014, GameSpy announced the shutdown of their master servers, which were responsible for MoH:AA’s in-game server browser. Because GameSpy pulled the plug the community have made MOHAA the Revival Edition which includes the latest patches and fixes to make sure you can still find game servers in-game to play multiplayer online. Play single-player or multi-player with the Revival Edition. Everything works it is so easy to run and it is free!